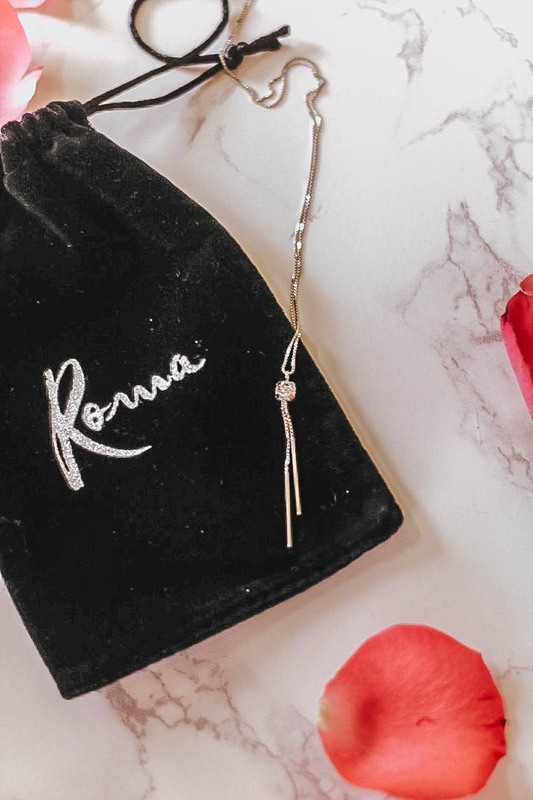 Today, I have another beautiful piece from Roma Designer Jewelry to share with you. This necklace is the Swarovski Crystal Simple Drop Necklace in Sterling Silver that creates the most elegant look. A single shimmering Swarovski crystal hangs from a beautiful box chain necklace, and it is 925 sterling silver with rhodium vermeil overlay that protects from scratches and tarnish. It is also hypoallergenic and requires no particular cleaning procedures, which means it will shine for years to come. 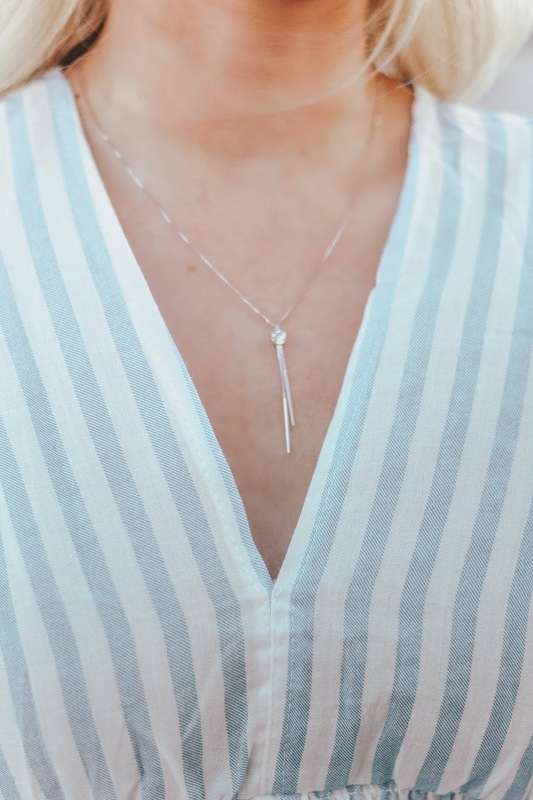 Such a simple elegant look, and I just love how delicate this necklace is! 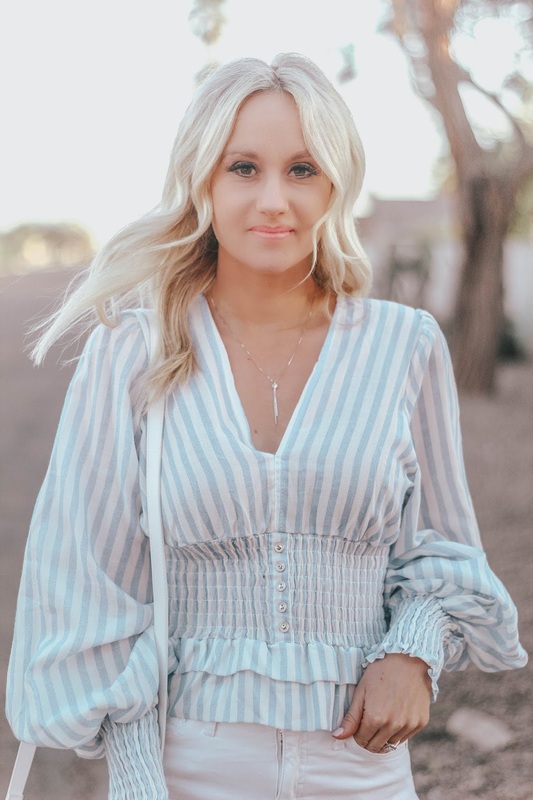 You can use code BRAVEBLONDE20 for 20% off your entire purchase! 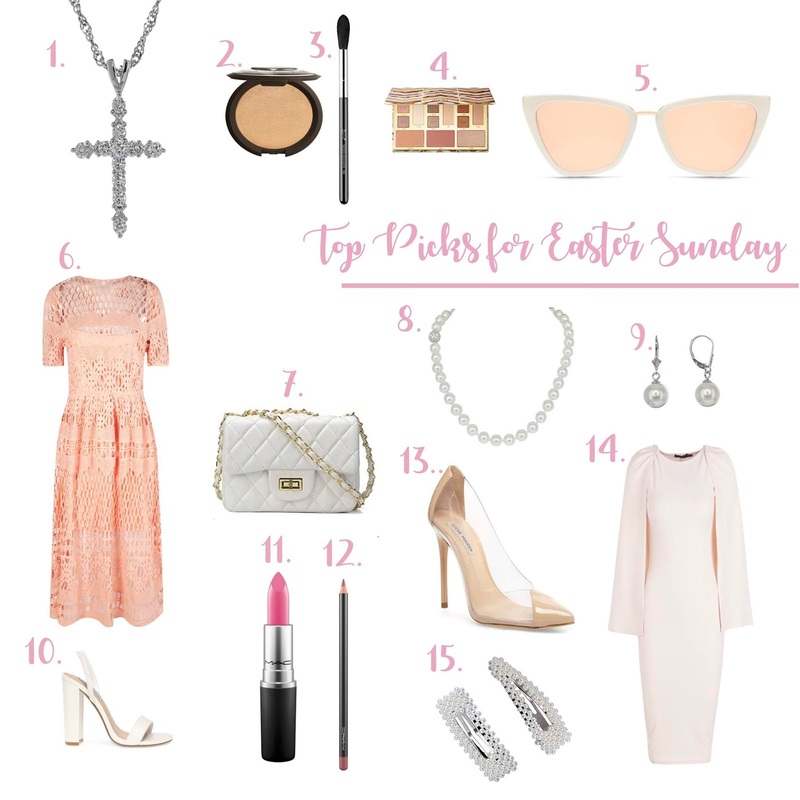 I have also created some top picks for a complete Easter outfit featuring the Adjustable Milano Twist Chain + Brilliant CZ Cross Set and the Masami 18" South Sea Shell Small Pearl Strand Necklace with the matching Masami South Sea Shell Small Pearl Drop Earrings.